I can not stress enough how important is to take care of your skin in your 20's and 30's, as the effects from this time will heavily impact the way your skin will look like when you're older. There are many factors of taking care of your skin, but today I wanted to share all the products I use and love every morning to cleanse & moisturize my skin. 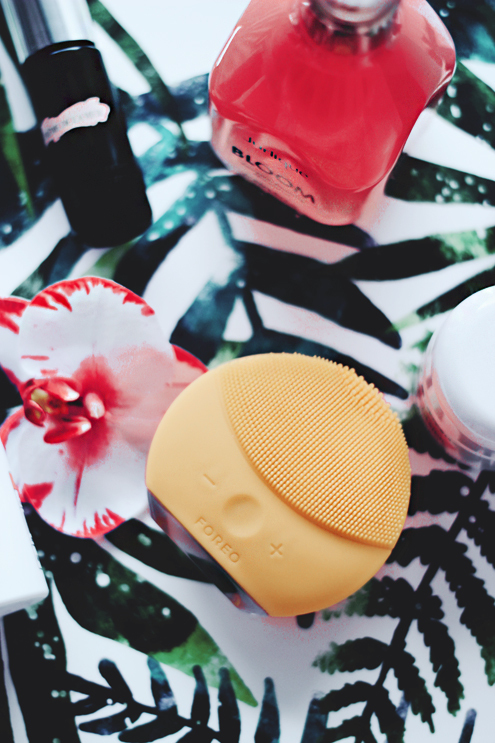 I recently upgraded from Foreo Luna Mini to Luna Mini 2, and it's an absolute joy to use it every morning and night. This small, cute cleansing device leaves my skin super soft, and I can see a difference in my skin every time I use it. It works perfectly together with my Frank Body creamy face cleanser. After cleansing my skin, I like to spray it with Jurlique's Rose Water mist, it smells incredible and gives that extra moisture to the skin after the deep cleanse. lifting up, and the bags under your eyes are gone like that. The sea botanicals in the product also promotes the natural production of elastin, therefore helping the visible effects heighten with time. I couldn't recommend this enough for anyone who deals with baggy eyes on the daily basis! I so need to try a toner out. Beautiful photos! You are so right skincare is super important. Those look like some great products! Never ever forget to moisturize! I love LAMER products! Been using it for two years now. It works like a charm, especially creme de lamer. Great post here! Love your blog layout! Great beauty tips! You are so right; it's important to take care of your skin. I started doing it early on and I am very happy that I did!!! Your blog is so pretty! Love it! These products seem to be so good ! Love your photos too ! I'm a big fan of the Frank creamy cleanser it's so soft on my skin! I really love the look of the Luna mini 2 I'll have to check those out! I really like using La Mer products and have a moisturer. They are good at moisturing the skin. La Mer for the win! :) Great routine, babe- thanks for sharing! I would love to try that eye cream! My mom used to work in production line of La Mer and I remember her saying she would slather it on all over because there was so much product spillage! It's crazy how expensive the little tin is and how much of it goes to waste. Beautiful pictures! Thank you for sharing us your beauty tips! 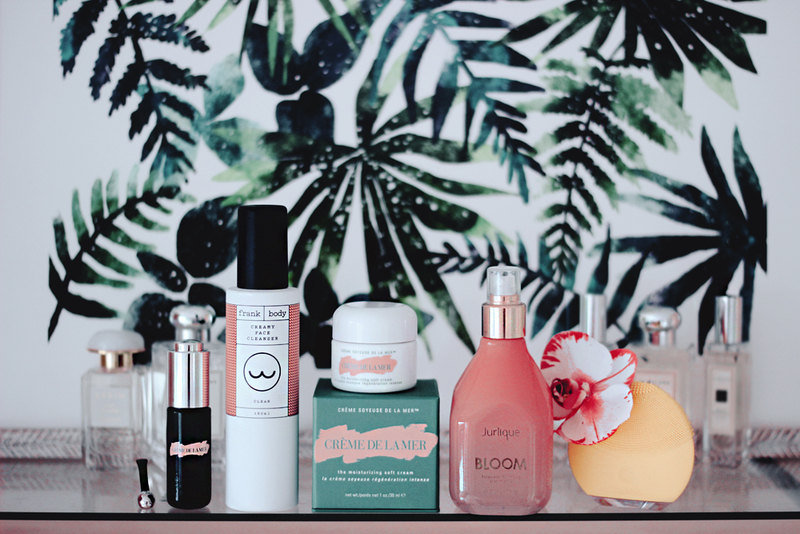 Never tried these products and I'm so curious about them!!! Need that Fereo in my life! We should meet one day! I am also living in France! Great review and perfect routine!!! Awesome routine and I think I found some new products. Thanks for sharing and have a blessed day! The Ka Mer products always tempt me, but I am reluctant to spend so much money on a brand that doesn't share the ingredients of the products. I really like to know what I spend my money on. I wasn't aware they didn't! I guess they're saving their secrets! Such a great review! Beautiful pictures! Love how you styled this post. Great content on your blog, keep up the great work! Cleansing and moisturizing are all I do, but I am a cheapskate so I use coconut and jojoba oil! I would be interested in trying that rose water mist though. The Jurlique Rose Water mist sounds lovely! Really want to try some products from them soon! 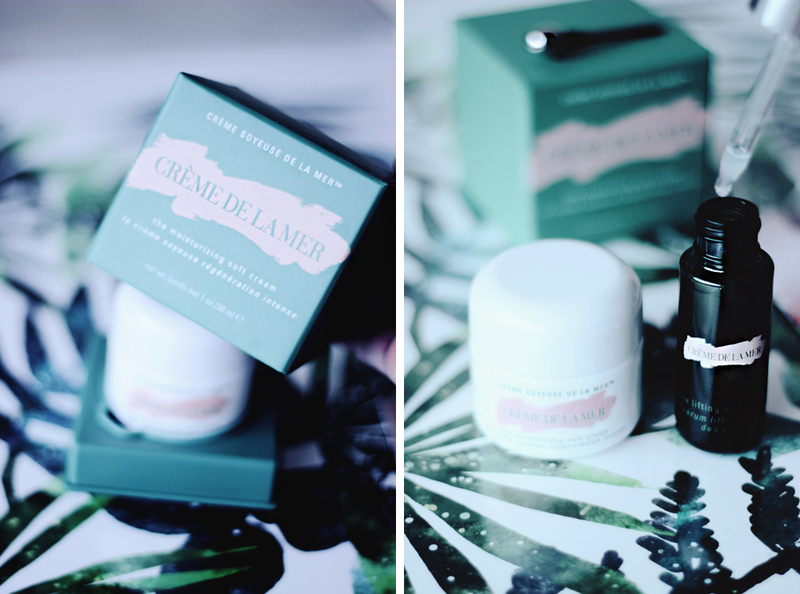 I'm dying to try La Mer products. Especially after reading positive reviews like these! The packaging of all the products tho! Great review and I love the style of your blog and all of the photography, just gorgeous! Wow what an attractive monring routine, love it! Thx for sharing with us. Beautiful pics, btw! My husband loves that la mer cream. He used to use it on his face all the time. Though now during the day he uses another cream with spf and the la mer at night. I'd like to try that eye serum as well. I'm so bad at even taking my makeup off before bed... it's really interesting to read how other people take care of their skin though! I adore these items' packaging! 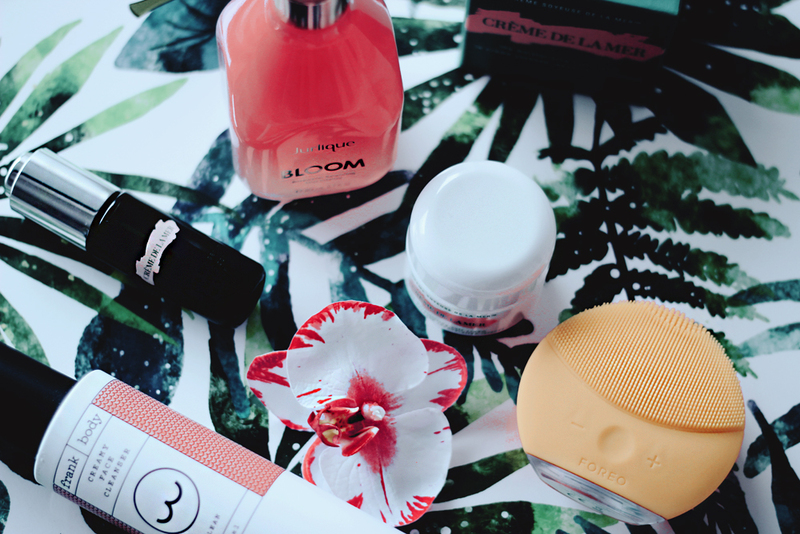 That creme de la mer is so lovely! I love your photographs! I think it's really important to take care of your skin from an early age to prevent problems later. Sounds like a great morning routine and explains your great complexion!! Have a wonderful weekend! Gosh, these products sound EXQUISITE. I'm still in my teens but I'm hoping to start taking better care of my skin, too. Thank you for sharing, Aime! i have freo and i like it! I've actually never heard of Frank, but upon looking at their website I think I am sold- their packaging is so beautiful! I've also been so interested in rosewater, so I may just have to try out the balancing mist you recommend. Gorgeous pictures!! Frank products are amazing! The ingredients are really good too! Great post! I love the pictures aswell! I use the La Mer soft cream too and I'm such a sucker for it! I really think it's really worth the money. I think I'm going to look into your rose water. I've been looking for a new one! I usually just use store bought rose water for toner. Yes, indeed that is true. I love products from Le Mer, they work so well! Sometimes I forget to tone, and then i notice the difference! Such lovely products, I've never tried a Luna mini but they look so nice and much more hygienic than something like a clarisonic!